In 1996, Ashok Kumar Jain imported a Rolls Royce for 112,350 British pounds, which equated to about 1 crore rupees at that time. The car has just run 35,000 km and has a valid pollution-under-control certificate. Now, the National Green Tribunal (NGT) wants this vintage car off NCR roads. The reason? It’s over 15 years old and, therefore, falls foul of the NGT’s November 2016 ruling, which banned all petrol cars older than 15 years and diesel cars older than 10 years from NCR roads. 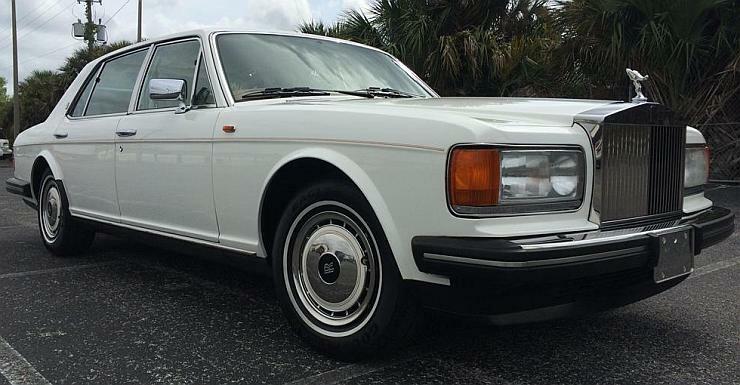 In February this year, Mr Jain filed a petition before the NGT, requesting the renewal of registration of his vintage Rolls-Royce citing the vehicle’s vintage value and also the fact that it could be upgraded to Bharat Stage 4 (BS4) standards. In fact, Mr Jain had approached Rolls Royce for modifying the vehicle to meet BS4 emission norms. Rolls Royce had even agreed to modify the vehicle to meet India’s current emission standards. However, an NGT bench — chaired by retired Supreme Court judge Swatanter Kumar — has not granted permission to Mr. Jain to ply his Rolls Royce on Delhi-NCR roads. So, even if Rolls Royce agrees to bring the vintage car up to date in terms of emissions, and Mr Jain invests on the modification, the car won’t be able to run on NCR roads. This order is likely to have major ramifications for car enthusiasts and vintage car collectors in the NCR. Vintage cars over 15 years of age — even if they meet the current emission norms — may have to go off NCR roads. The value of such cars may drop significantly as owners indulge in fire sales to buyers from other parts of India. Many cars may also have to be scrapped as the RTO may not issue the ‘No Objection Certificate’ that’s mandatory for inter-state ownership transfer of vehicles. Courts in other parts of India may also disallow the re-registration of vintage cars once other states begin following the NGT’s ban on older cars. For many enthusiasts, vintage car collecting will no longer be viable in India, both as a hobby as well as a business. « Brand new Triumph Bobber crashes head-on into Maruti Swift : Here’s the result!